One recent weekend I took a boat ride to the Isle of Wight for a spot of lunch. How very civilised… right? As you can see from the photos the weather was ideal. Did I take car ferry and relax on the top-deck? Or did I take a high-speed catamaran? 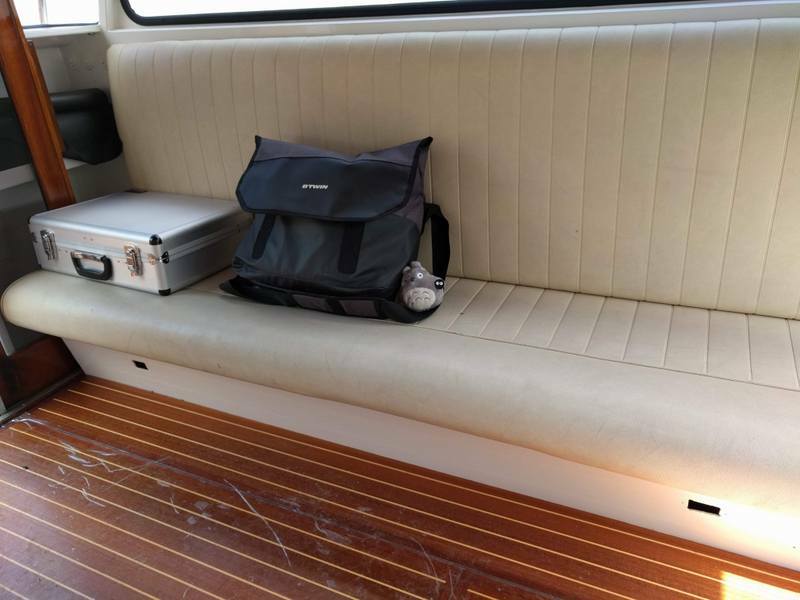 Nope – something different… I crossed in a hybrid-electric powered water boat! 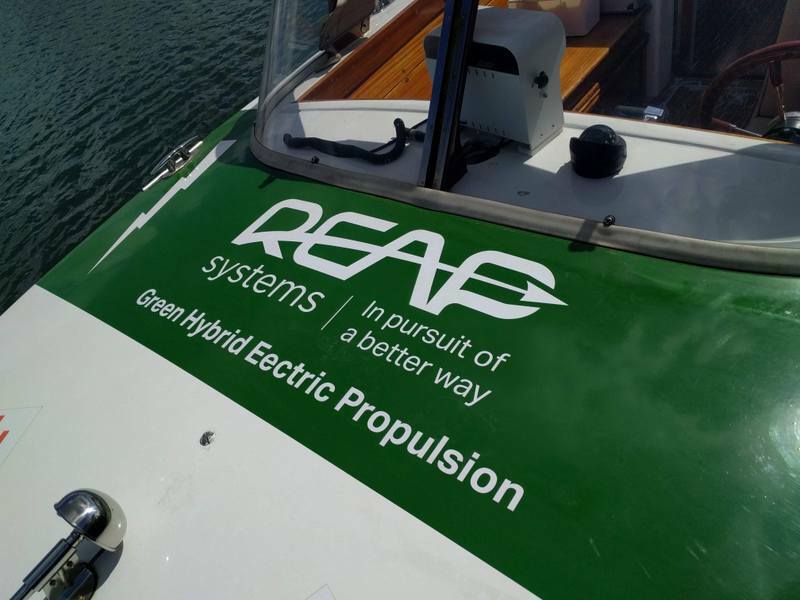 The boat is owned by a local company called REAP Systems who are pioneering hybrid electric marine engines. So after registering my interest in joining one of the test rides, the day finally came and thankfully it was a fine, sunny Saturday morning. 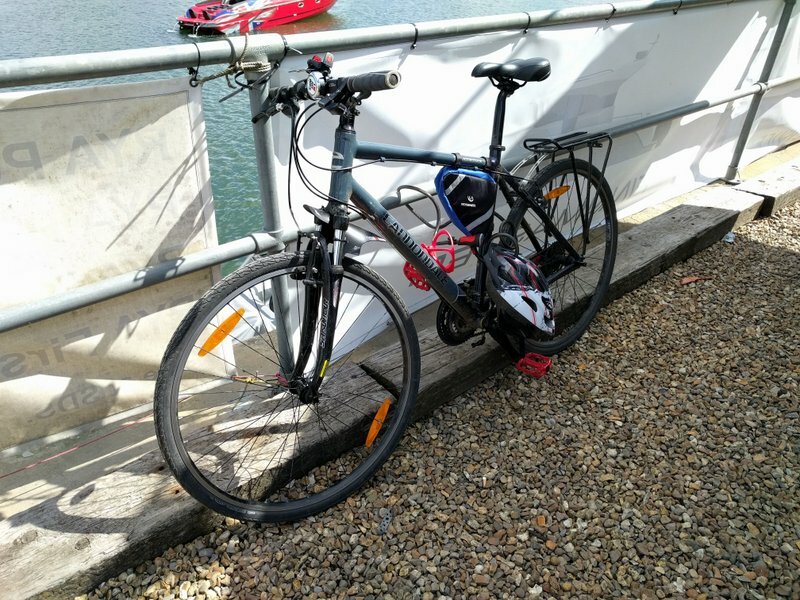 I cycled from my home to the Southampton Dry Stack where the boat was being kept – I needed to keep the “green” theme to the day! I thought I was running a bit late so I picked up the pace, cycling hard, powered past St Mary’s Stadium… half-expecting there to be an impatient group of people waiting for me… only to find that it was just me and Denis from REAP Systems. No worries though – this meant I could pester him with all my newbie questions. A German-born engineer, Dr. Dennis Doerffel patiently explained the technical operation of the boat to me. 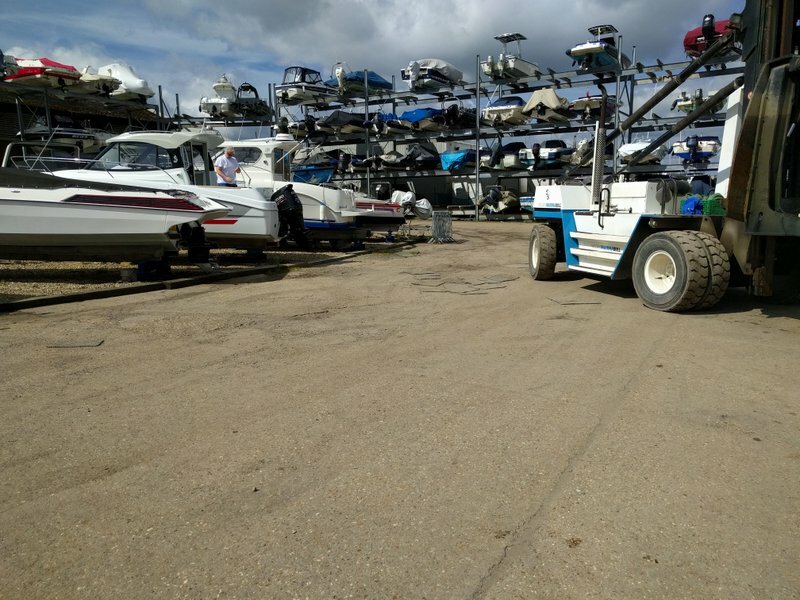 Essentially, the main (“fast”) power is a 6 cylinder, 24-valve diesel engine from car-giant Hyundai that has been adapted for marine use under the brand name Seasall. The “hybrid” nature of this engine refers to the addition of an electric motor plus battery that charges itself from the diesel engine. The electric motor can also provide an alternative propulsion source. 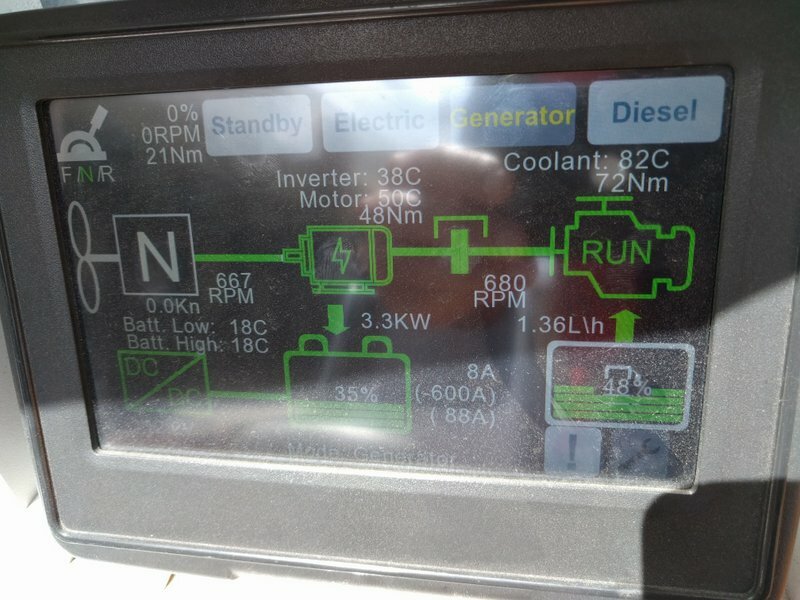 It would be an over-simplification to just say “oh, they just added an electric motor and battery to a car engine” because alongside this is an array of sophisticated electronics that control, monitor and measure both the diesel and electrical system. It is this which is the “secret sauce” of REAP systems. 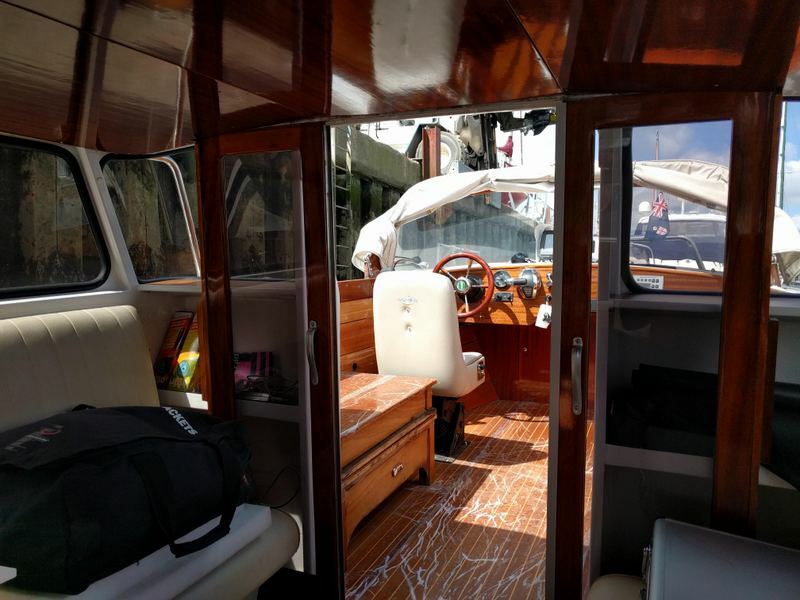 The cockpit of the boat has been retro-fitted with a colour-coded touchscreen display that lets the driver select between the two power sources. It also gives momentary operating data such as battery-level, power output, fuel consumption rate, engine temperature and so forth. Denis also told me that among the electronics is a telemetry/logger unit that is powered by Linux running on a humble Raspberry Pi! Denis and I got talking about the business side of REAP and he explained to me the challenges facing REAP systems. 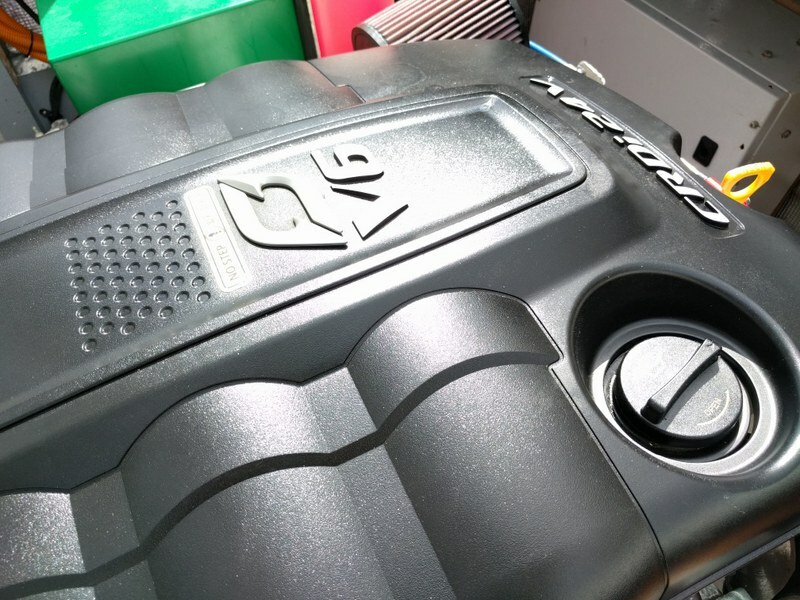 Their vision is to produce well thought out hybrid-electric “kits” which manufacturers can order and follow to adapt their own combustion engine systems. To do this requires good, reliable, repeatable steps and documentation that covers different scenarios. We all know that engineers never “do documentation” that well (this is also true of Software Engineers – my own profession ;). However, in the “cut and thrust” of the enterprenurial business world, documentation is the kind of stuff that is important to customers. Furthermore it’s not easy to attract the support of serious investors. One novel idea to promote the project is to take the boat to the Venice Film Festival to hopefully attract some of the more Green-inclined stars. Apparantly the actor George Clooney is a big proponent of green/electric vehicles and was one of the first to own a Tesla car. 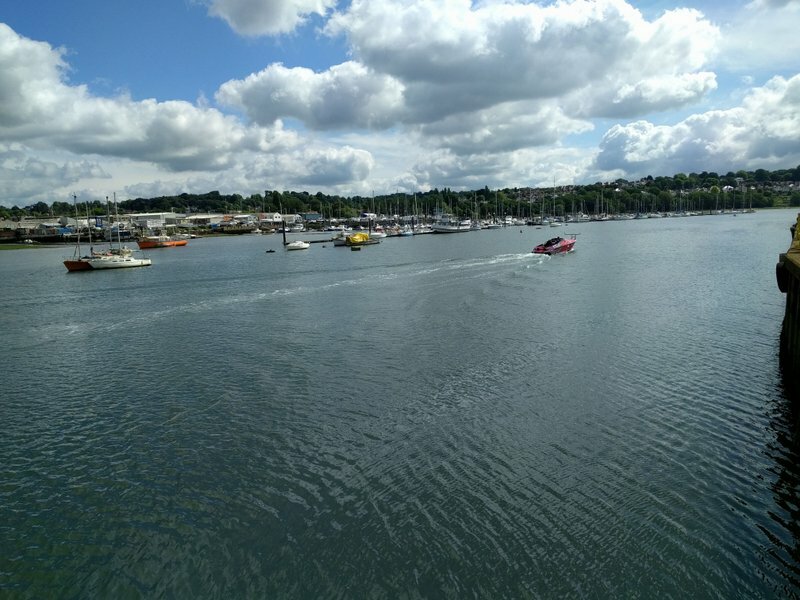 Back to the boat ride,I originally thought that I would be a passive passenger, sitting on the couches in relative luxury and sipping some iced lemon water as we cruised across the Solent… Not so! While on-board, Denis gave me short induction of the safety features and other basics. I was really pleased because it made me feel like I had a purpose and that Denis trusted me, a complete stranger, to help run the boat. I get bored easily so that was another reason I was grateful. Anyway, it turned out to be very wise thing to do because it was an eventful trip. How so? For one thing, the engine overheated about 15 minutes into the trip. The temperature gauge read 110 degrees centigrade and the engine cut out suddenly. A look towards the engine cover showed some ominous white smoke coming out… this looks bad. 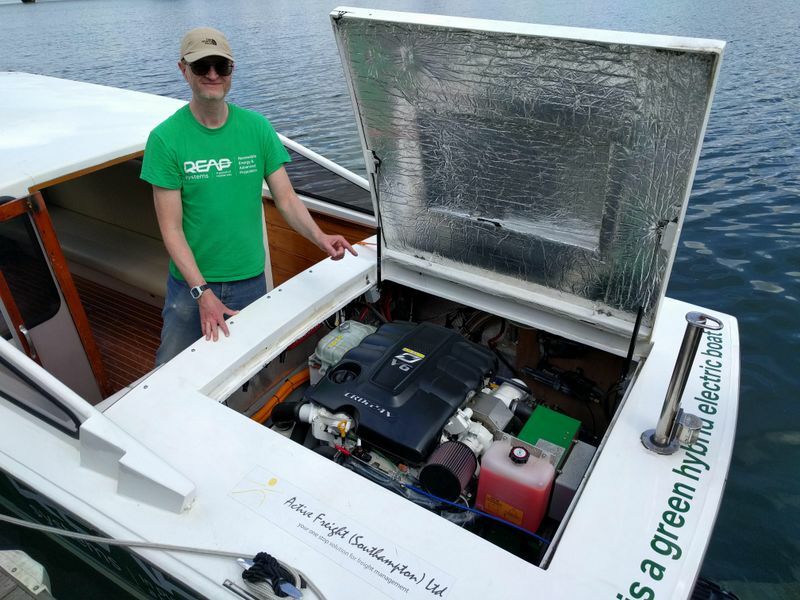 The back-up boat driver, Brian, came up alongside and pointed out that the water cooling system was ejecting “green” liquid. It was actually the coolant and antifreeze mix. What had happened was that the coolant hose had come loose at the last service. This drained the coolant tank and prevented the engine from staying at a safe operating temperature. “Oh crap” I thought, was this the end of the trip? Thankfully no… I learnt that boat owners tend to accept he need to make ad-hoc repairs and fix problems on-the-fly. Denis explained to me earlier that he always takes the hybrid boat out with a volunteer back-up boat. In fact, that morning we set off a bit late because he had trouble getting in touch with Brian (the back-up boat driver). I realise now why he was keen to hear from him, since we definitely needed backup that day. 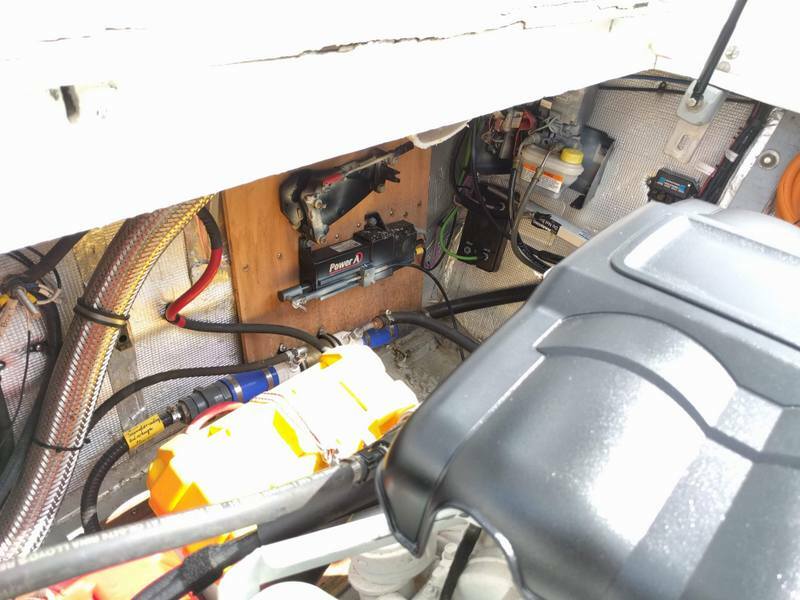 Brian had a “RIB” boat which was very fast compared to our humble hybrid machine. He was accompanied by his girlfriend, Gloria. Both were friendly folks and Brian was an experienced sea-hand. I later learnt over lunch that Gloria was from Argentina. All the more surprising is that Brian is originally from the Falkland Islands (surprising because the UK briefly went to war with Argentina in 1982 over sovereignty of the Islands). While talking to him, I could not quite place his accent but this must be how all Falkland Islanders sound like. Brian was full of humorous sayings: he told me that the phrase “boat” is actually an acronym meaning “Break Out Another Thousand”. He also told me that owning a boat is enjoyable exactly two times – when you buy it and when you sell it! 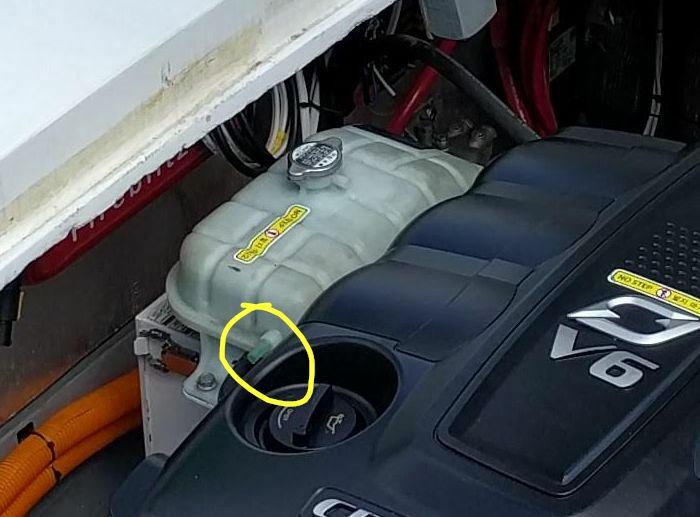 This photo from just before the ride shows the un-attached coolant feeder port. 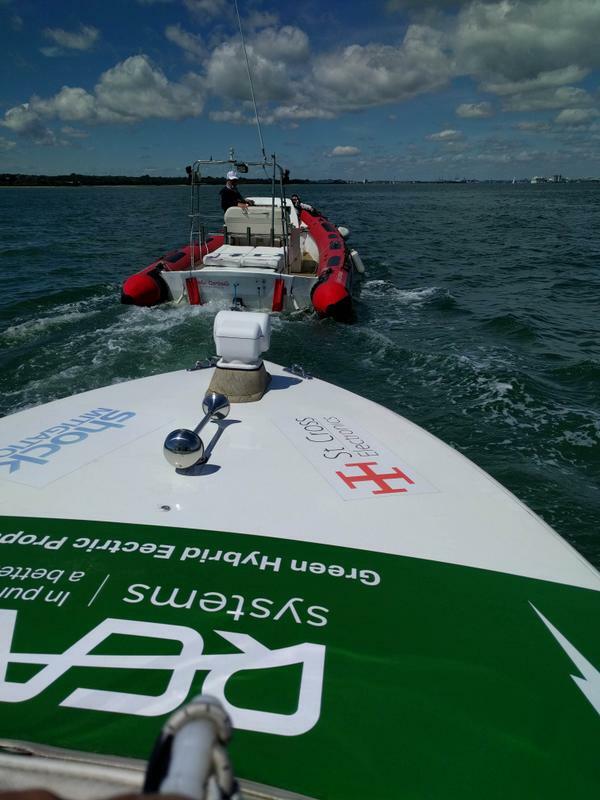 Anyway, with the engine cooling down we were able to get it going again and were soon powering our way over the waves of the Solent toward Cowes. Brian was powering ahead, showing off a bit by making effortless wide circles in his fast RIB craft. I was amused to see Gloria lying down at the front of the RIB during all of this, calmly taking selfies. 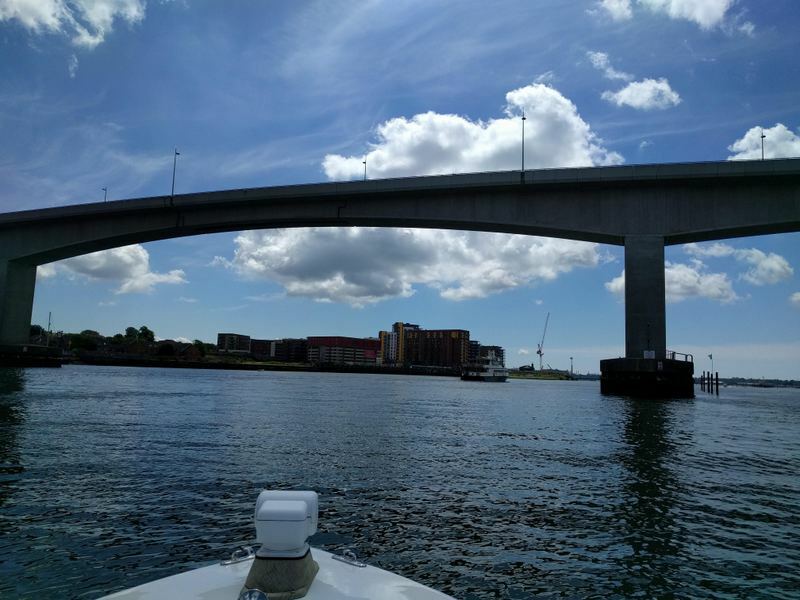 I have cycled over the Itchen Toll Bridge a few times… here I am going under it for the first time! 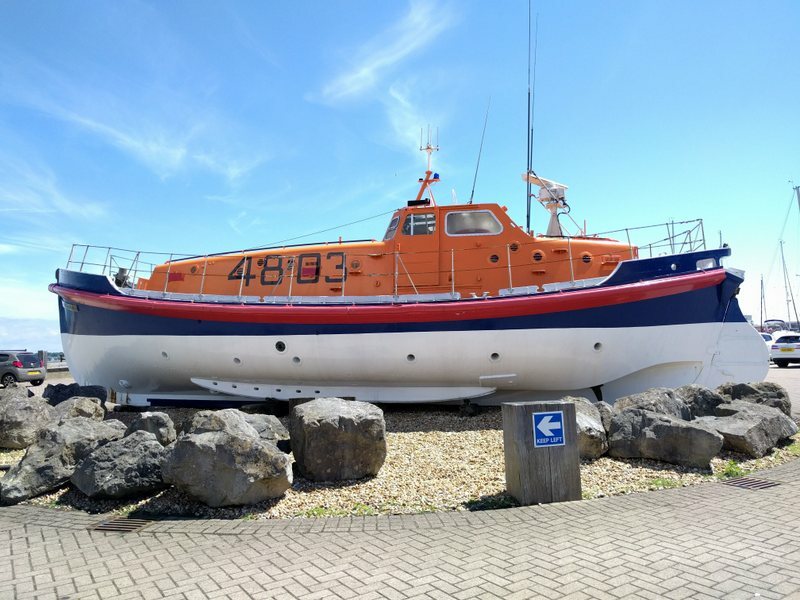 I have to say that for the rest of the day I felt like a sailor – I had never seen the Solent from this aspect before, I got involved with tying down the boat to dockside using secure knots, I was bringing the fenders up (and down) from the side of the boat on orders from Denis. It was a bit of an adventure. We made it to Cowes without incident and had a relaxing lunch at a Tapas resteraunt. It was here that I got to know these folks a bit better. We all shared some stuff happening in our lives. Paradoxically, I felt I could open up to these guys more exactly because they were strangers – since I may never see them again there was no risk attached. It was funny that at the start of the day they were strangers… but by the end of lunch they became likable, normal human beings with normal problems. Thankfully the return journey back to Southampton Dry Stack was uneventful. We were treated to some semi-scary close-ups of 4 or 5 absolutely huge cruise ships which Southampton is famous for. Brian was having a lot of fun in his RIB, jetting alongside the huge cruise ships so that Gloria could take some photos before nimbly jetting away. I spotted one of the biggest, the Independence of the Seas. At one point we were directly in it’s path as it turned in the shipping lane …yeah, this would be a bad place to have another over-heating problem. Other water craft spotted included some jet-skis, a huge and very expensive looking luxury yacht (with tinted dark windows, the kind owned by Russian oligarchs and James Bond villains) a sleek powerboat and a Red Jet. Red Jet is a 30 minute catamaran hi-speed ferry service that runs between Southampton and Cowes and operated by Red Funnel. I also spotted some interesting birdlife – black cap terns which are like more delicate, sleek seagulls, however these ones prefer to keep close to the sea, never really venturing inland like regular seagulls. Denis told me that he has spotted wild seals in the Itchen river. We made it back at about 7pm, the late hour due to being under electrical power for most of the return journey. 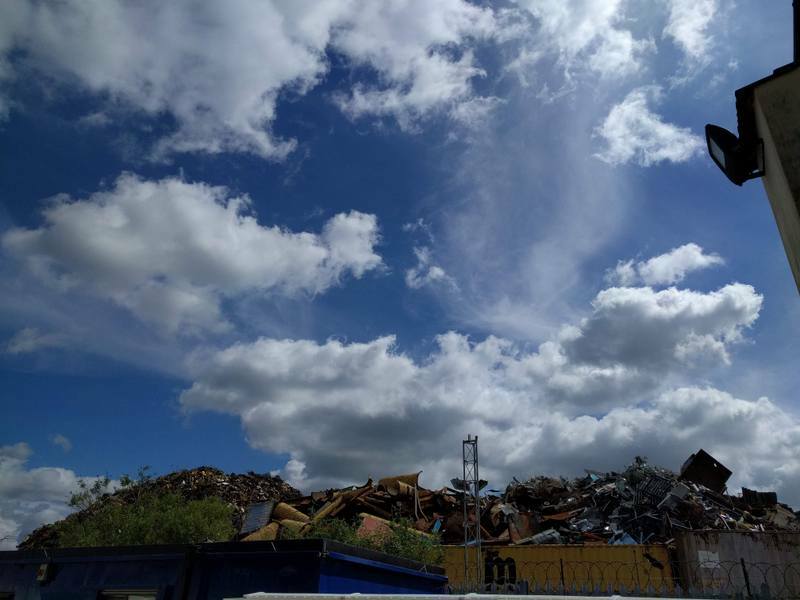 This meant we cruised at a sailboat pace back to Southampton Dry Stack – this was OK for me as it gave me time to appreciate a different view of the city I’ve called home for the last 12 years. The tide was coming out so we had to overcome some resistance from the current. I thanked Denis for the day and wished him well, then unlocked my bike and cycled home in the cooler evening air for some dinner. My wife and I should have been with you that day but my son who lives in Germany was leaving that day and so we were giving him a last roast dinner and lift to Heathrow. However I have been on other shorter and colder trips. Dennis needs a lot of hours testing which he fits in between his other pretty impressive projects. I should point out that the taxi is actually a water taxi from Venice. These taxis chug around the amazing city causing really serious pollution but are also required to take much longer high speed trips around the lagoon and to the airport. 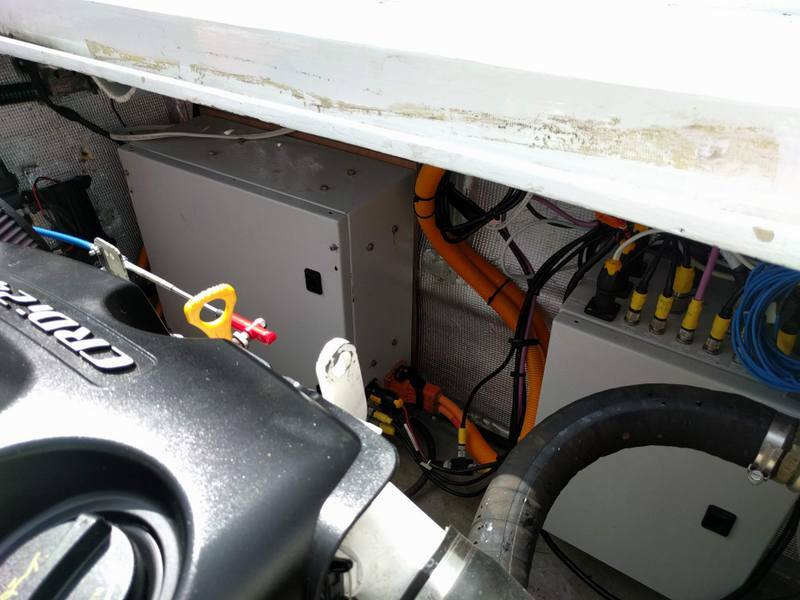 The hybrid drive will in future enable taxis to glide silently and cleanly through the canals under battery propulsion and then at full power when required. Another step forward towards a cleaner environment. Previous Previous post: Bike Security Reminder: Please lock your bike properly! Next Next post: So you deleted your Windows 10 partition table… now what?